Merlin Wig and Beard.Includes: One Merlin Wig and Beard.Available Size: One Size Fits Most Adults. *Costume and Other Accessories Not Included. 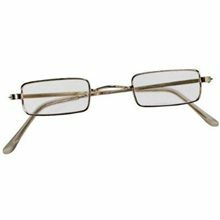 Sold Separately.In Arthurian legend, a Merlin was a magician and prophet who served as a counselor to King Arthur. Stories of Merlin have been dated much further back than the story of King Arthur. No one really knows ff this advisor really existed or was a myth. Now you can become the legend of Merlin the Wizard for costume barty. 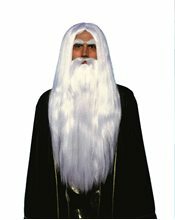 This Merlin Wig & Beard set is the perfect addition to your adult wizard costume. One Size Fits Most Adults. 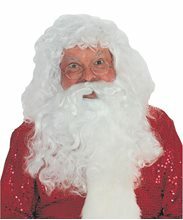 Santa Wig and Beard Set.Includes: Santa Wig and Beard.Available Size: One Size Fits Most Adults. *Costume and Accessories Not Included. Sold Separately. Beard has wired moustache and double elastic straps. Wig has one-size-fits-all stretch base. 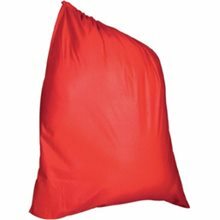 It is 100% Teviron washable and reusable. 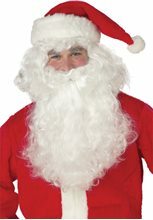 Santa Hat with Braids.Includes: One Santa Hat with Braids.Available Size: One Size Fits Most Adults and Teens. *Costume and Accessories Not Included. Sold Separately.Santa Hat with Braids is red and white in color. New twist on the traditional Santa hat. Be cute with these white yarn braids. 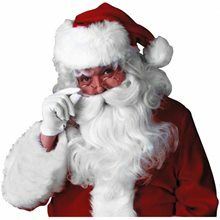 It can go perfectly with any Santa costume. 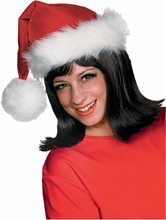 Deluxe Santa Adult Hat.Includes: One Deluxe Santa Adult Hat. Available Size: One Size Fits Most Adults and Teens. *Costume and Accessories Not Included. Sold Separately. Complete your Christmas look with this awesome Deluxe Santa Adult Hat! 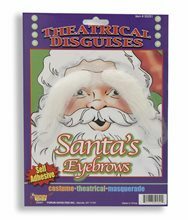 A great addition to your Santa Claus or Mrs. Claus costume this holiday season.